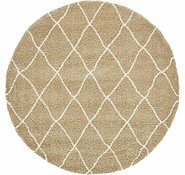 5' x 8' Marrakesh Shag Rug is rated 5.0 out of 5 by 26. 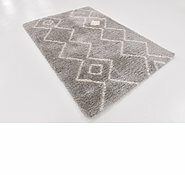 Rated 5 out of 5 by CandiceM from Great quality and great price! 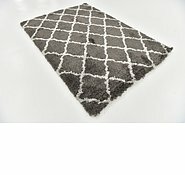 Recently bought a Marrakesh rug, I was confident I’d like the rug because my friend bought one similar and she was happy with the product, having the 120day returns policy was also a good backup plan. I was surprised at how quickly it came (less than a week) and although the material wasn’t exactly what I wanted (synthetic instead of wool) I knew I’d be paying twice the price if I went with the preferred material elsewhere. 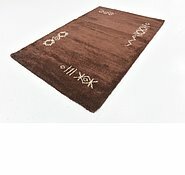 The good thing is, the quality of the rug is so great, it doesn’t matter! Especially for the price! 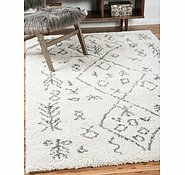 Easily half the price of freedom, ikea and other rug stores. The design is very modern and suits what else is on the market. Highly recommend trying these guys before spending big bucks elsewhere. 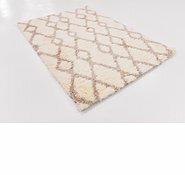 Rated 5 out of 5 by Thomo from Brought our rug a week was delivered 7 days later wow excellent service The rug is actually better than I thought it would be . Beau til and soft between the toes. 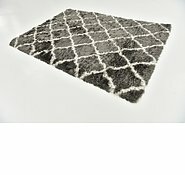 Rated 5 out of 5 by Jade23 from Softest Shag Pile Runner I bought this rug last week and it arrived 3 days later. It is beautiful and soft. 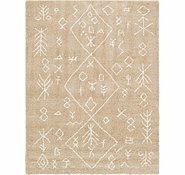 It's very pale almost white with a marrakech style pattern. Really lovely. 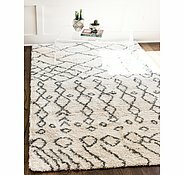 This is the 3rd rug I have bought from AURugs and they are all wonderful. Very happy plus their prices are fantastic! 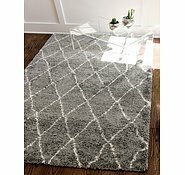 Rated 5 out of 5 by Neets from Quality rug and soft Once unrolled and fluffed up a bit this rug is great. 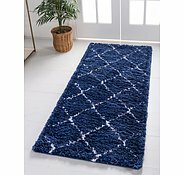 Highly recommend au rugs! They aren't paying me to say it! 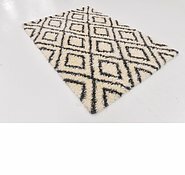 Rated 5 out of 5 by ACSyd2000 from Exactly as advertised This rug looks exactly as the picture suggests - same colour, pattern and texture. 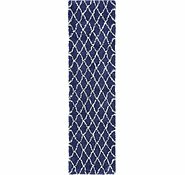 Very nice underfoot - clearly at the price it’s synthetic material and it does feel it, but it’s soft and deep and very comfortable. Really happy with the service and delivery. A great experience all round. 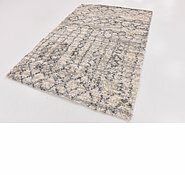 Rated 5 out of 5 by gigib from Soft beautiful rug I bought this rug last week and it arrived within 7 days, great service. 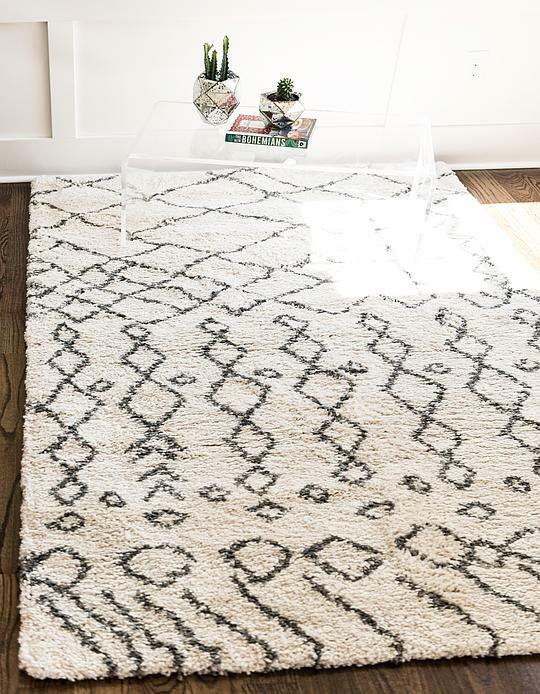 The rug is just as pictured, it is so soft and beautiful to walk on, with no shedding. I absolutely love it, and the price was amazing. 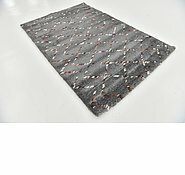 I would definitely recommend au rugs. Rated 5 out of 5 by Rachellee from Amazing delivery time I purchased this rug on and Sunday and had it waiting at my door on Friday! Great quality and cannot complain about the quick prompt service. 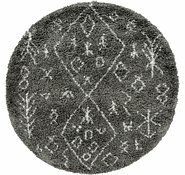 Wish I had gone the size up but overall the rug looks exactly as the picture and does the job needed! What is it made of and how ?